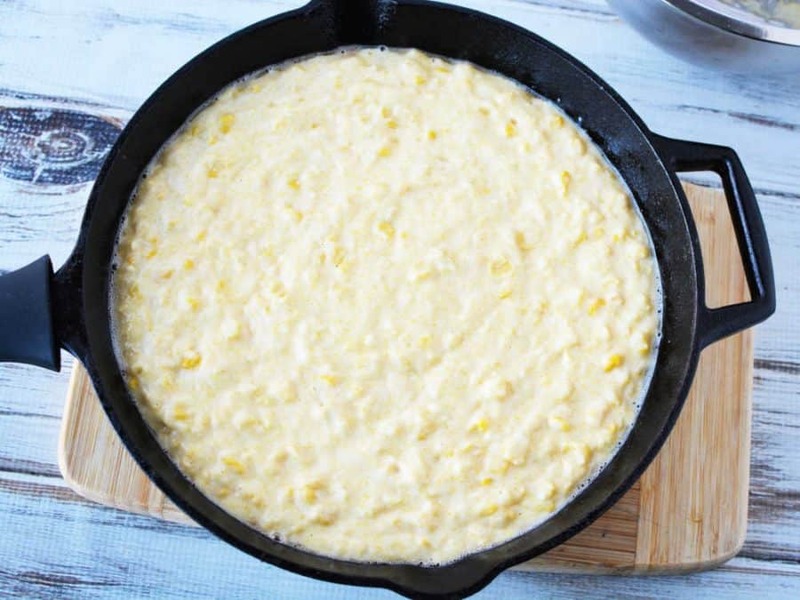 Make a lovely skillet corn casserole with corn, cornbread, creamed corn, and sour cream. An easy and beautiful side dish for any meal. One of my secret tricks of cooking is to keep a box or two of cornbread mix in the pantry. 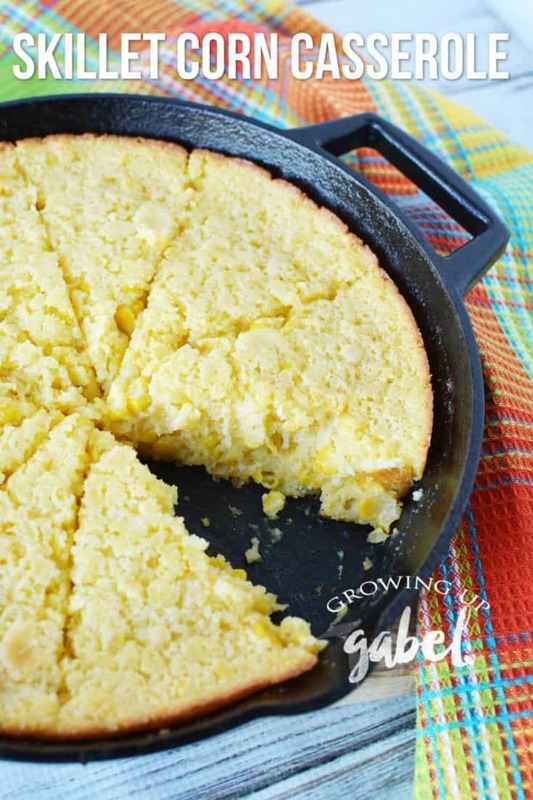 I can use it to make Cornbread Chicken Casserole as an easy dinner, or to make this Corn Casserole for a side dish. 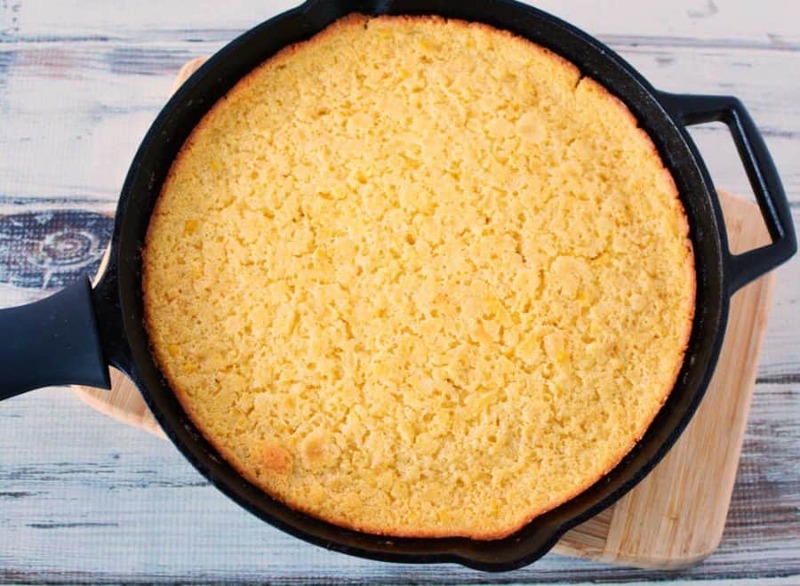 Or just bake it up into cornbread to have with a pot of 30 Minute Pressure Cooker Chili Recipe. A box of cornbread mix is pretty versatile. Corn casserole is well known, and well loved, side dish. If you've never made it or had it, you are in for a treat! It's so easy to make. Basically just mix, pour and bake. The resulting corn casserole is just amazing. We make this for Thanksgiving, Christmas, and Easter every year. It goes with with a turkey breast, a slow cooker ham, and especially a big batch of sweet tea fried chicken. I LOVE this, it's one of my favorite dishes. Plus it's so beautiful in a cast iron skillet. It's a 10″ skillet. Make sure you add on the handle cover thingie too. Its a must-have if you have this skillet. Preheat your oven to 350 and grease a large 10 inch cast iron skillet with a lot of oil. You don't want it to be a puddle, but do not skimp on the grease. Leftover bacon grease is especially delicious with this casserole. Once the skillet is well oiled, set it aside for a bit. 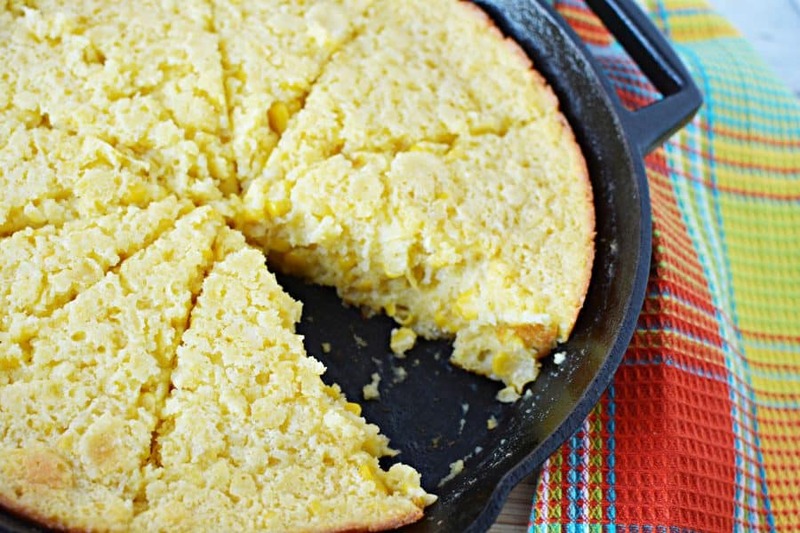 If you don't own a cast iron skillet, you can use an 8×8 or 9×9 casserole or baking dish. But really, get a cast iron skillet. They are great for making all kinds of things. Need more reasons to get one? Check out this Cast Iron Skillet Butter Pecan French Toast Bake! 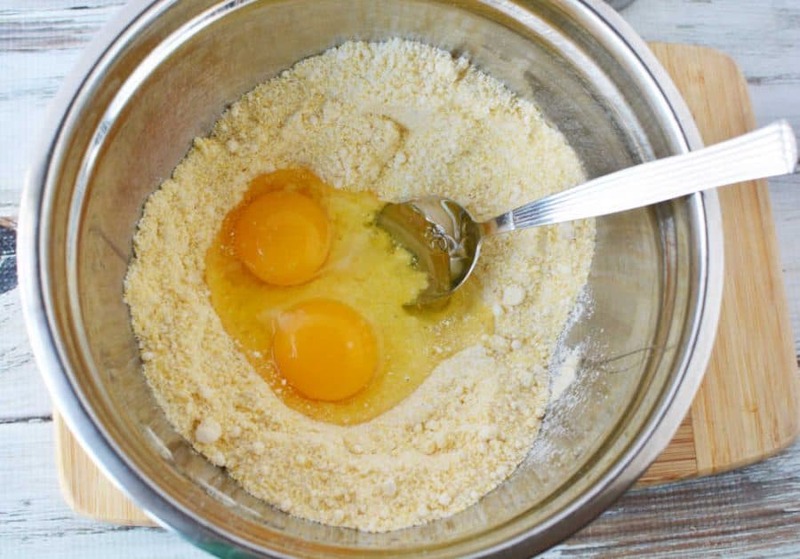 In a mixing bowl, add cornbread mix, sugar, eggs. 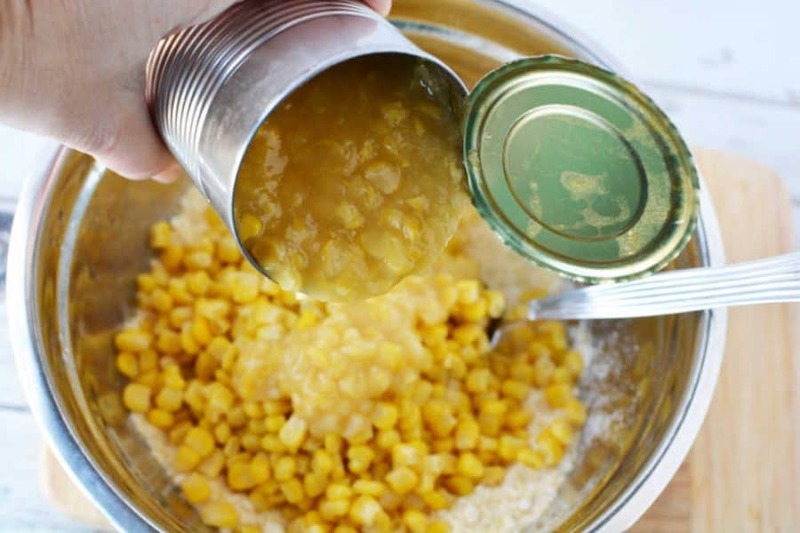 Add in both the corn and creamed corn. Add the sour cream and mix well with a wooden spoon. 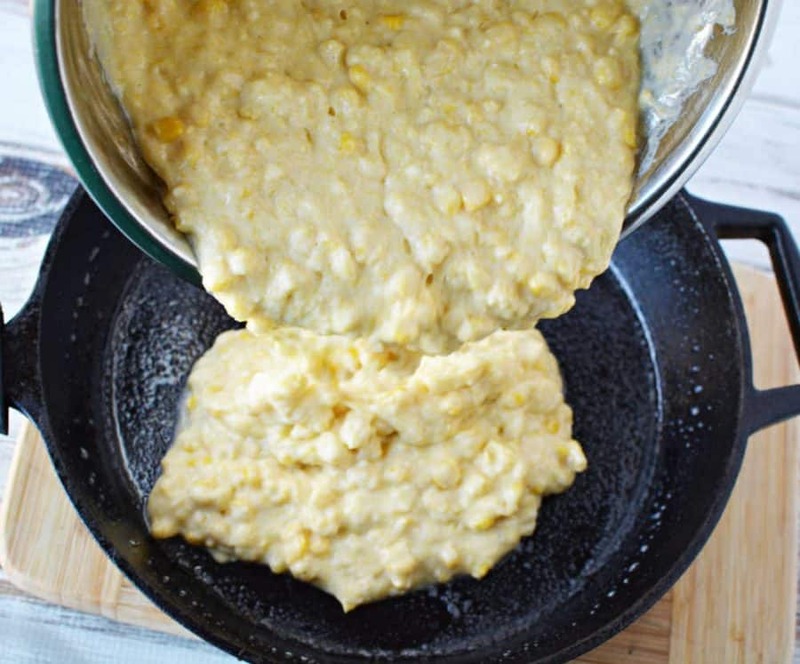 Pour the corn and cornbread mixture into the prepared skillet or pan. Bake for 30-35 minutes or until edges begin to brown and center is set. Remove from oven and let set for 5 minutes before cutting into 12 slices. Grease a large 10 inch cast iron skillet with oil. Set aside. 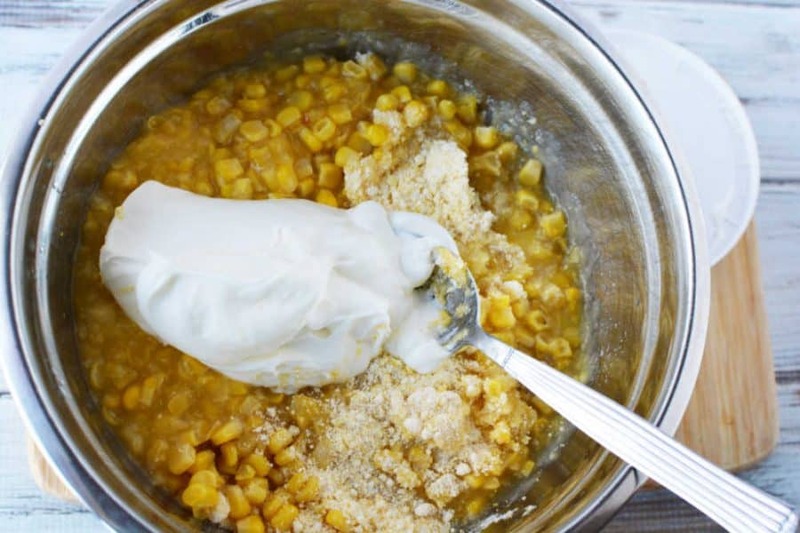 In a mixing bowl, add cornbread mix, sugar, eggs, corn and sour cream. Lodge 10.25 Inch Cast Iron Skillet. 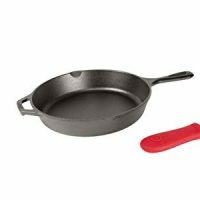 Pre-Seasoned 10.25-Inch Cast Iron Skillet with Red Silicone Hot Handle Holder.